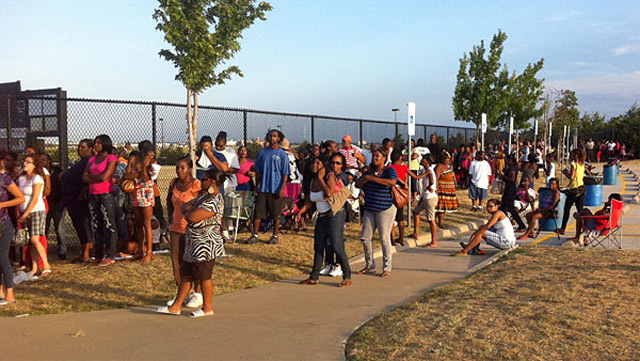 A dangerous scene played out last week as thousands of people hoping for Section 8 vouchers ran for a spot in line at the Jesse Owens Memorial Complex in Dallas, Texas. An estimated 5,000 applicants waited for hours to receive applications for one of the 3,800 available vouchers. The waiting applicants became a frenzied stampede when officials opened doors to the housing voucher offices earlier than expected. It is said that at-least 8 people were hurt.